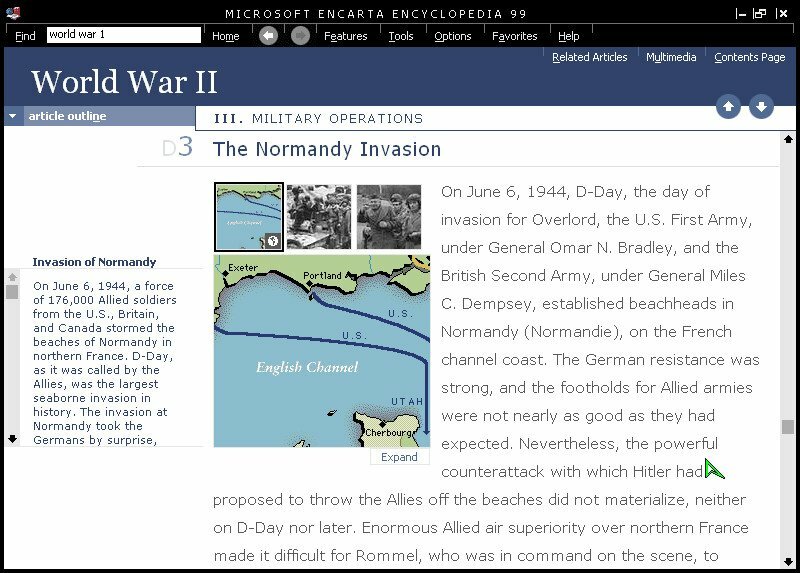 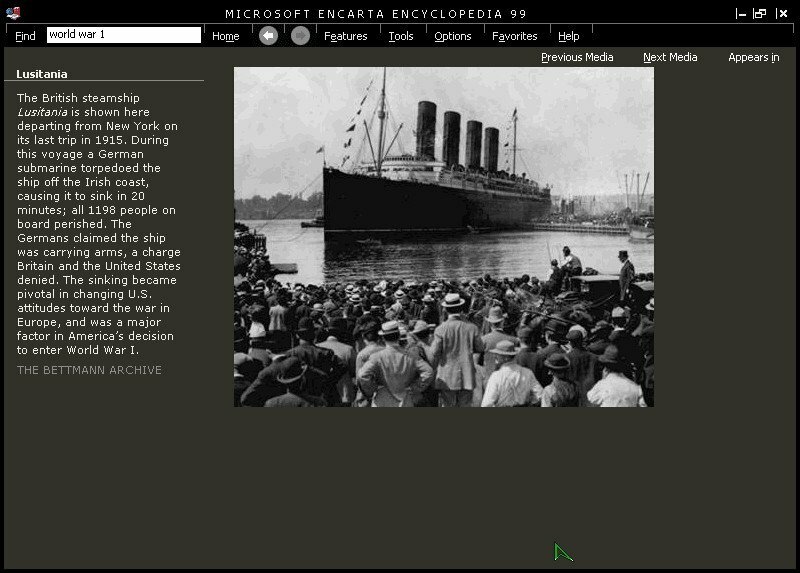 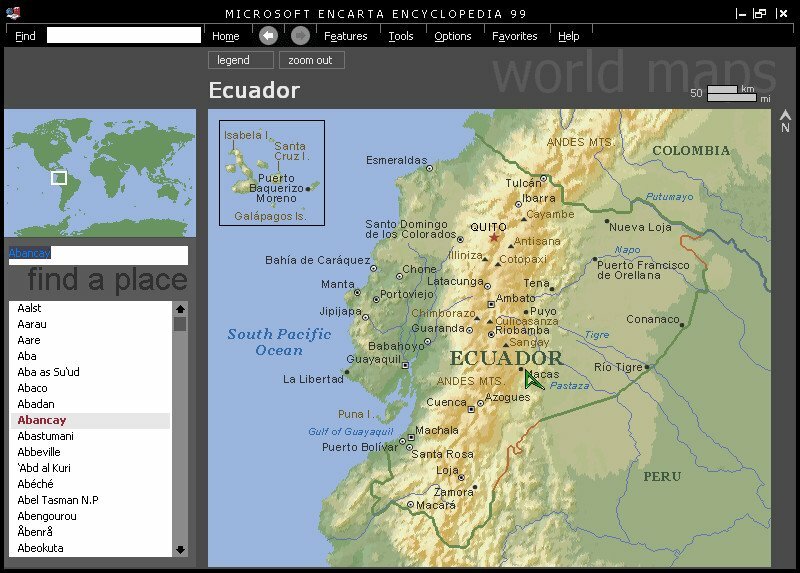 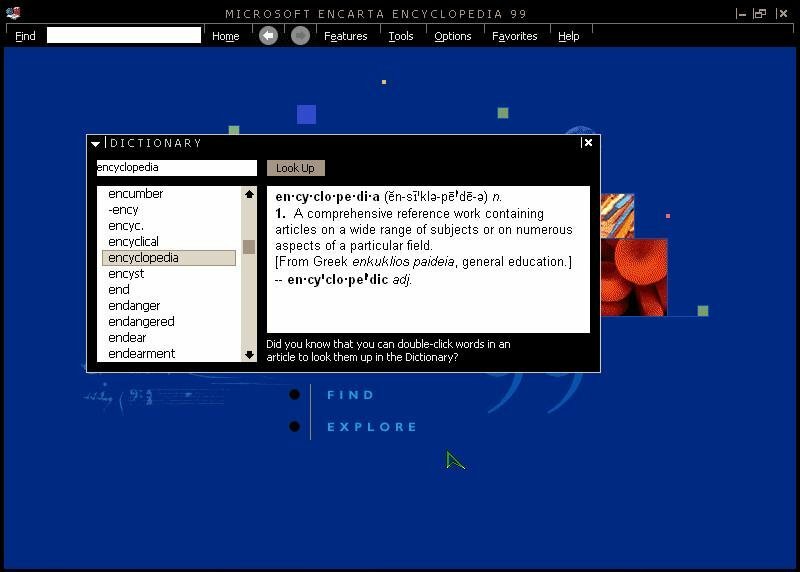 Microsoft Encarta Encyclopaedia 99 is many steps ahead of Encarta 98, and even better than later competing encyclopedias like Britannica. 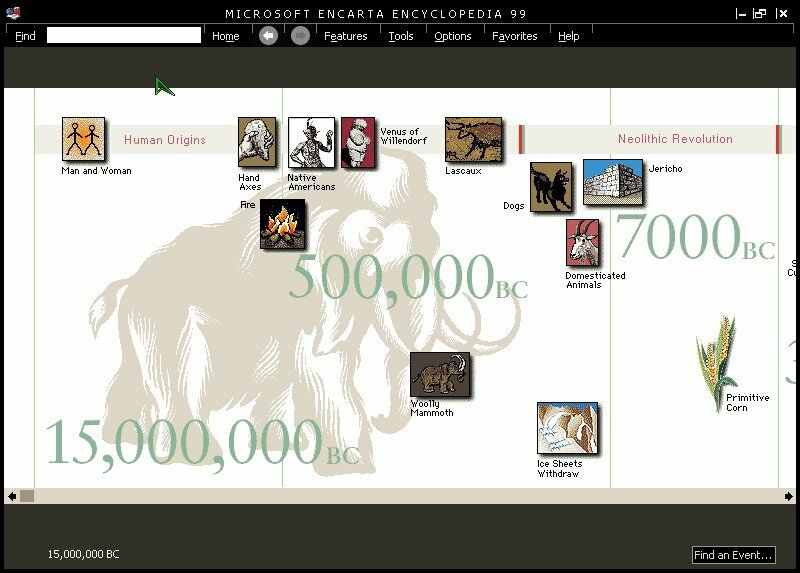 One of the best things about the product number the dictionary, timeline (offers a great perspective on history) and the atlas. 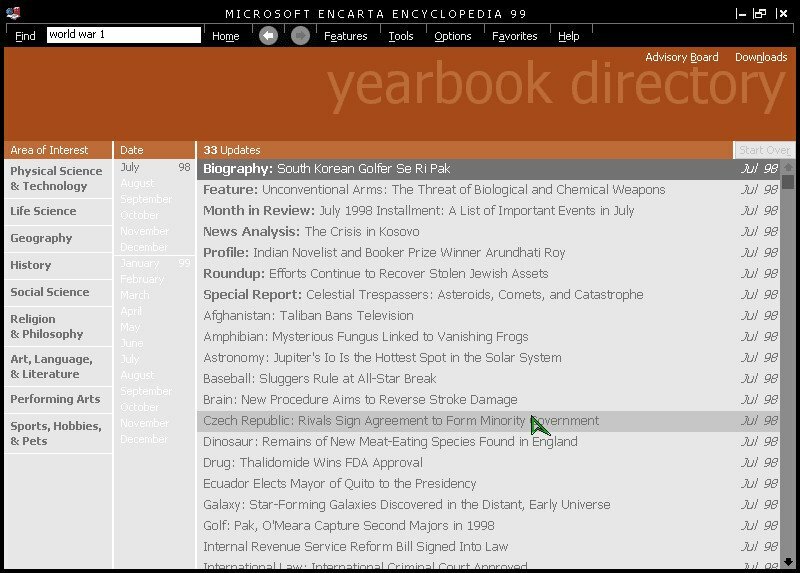 Some of the information contained within is expectedly outdated, as you would expect from a 17 year old encyclopedia. 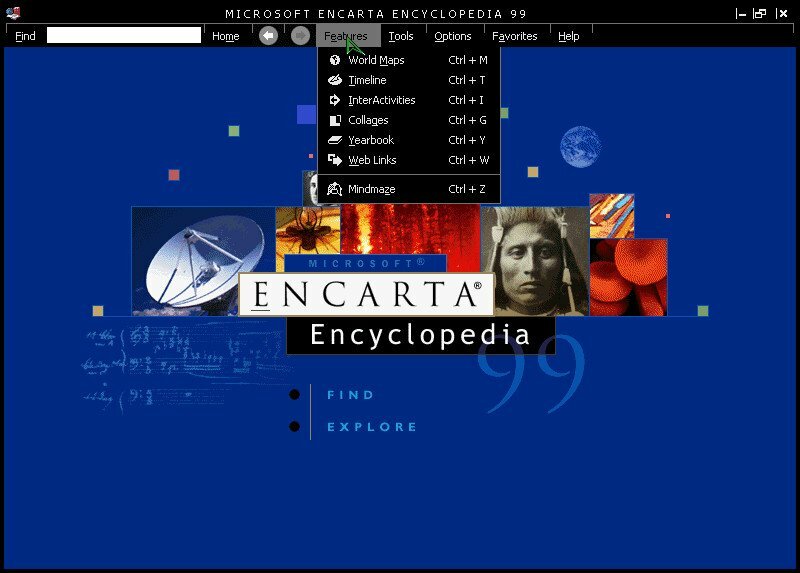 Visually program is much more stylish than Encarta 98, and has a lot more multimedia on it – images, videos and sounds, with all of the data neatly organized. 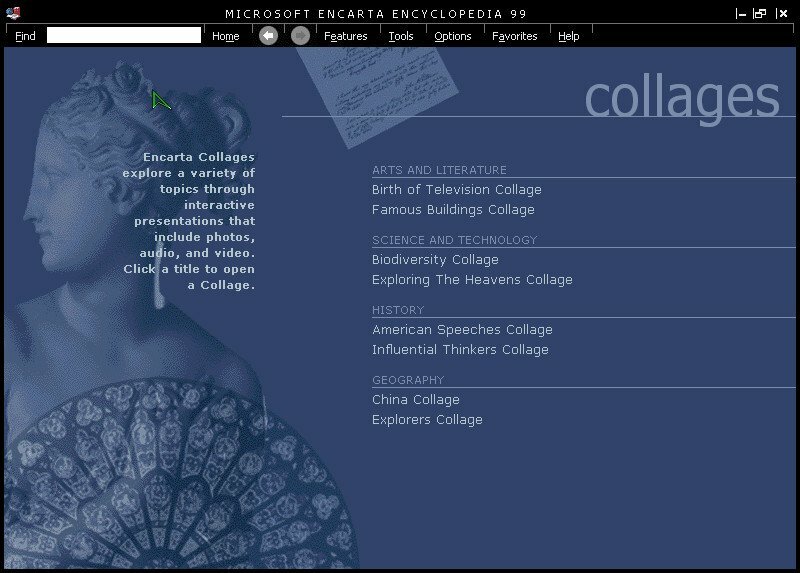 This program will not work with Windows 3.1, it was made for Windows 95/Windows 98/98SE. 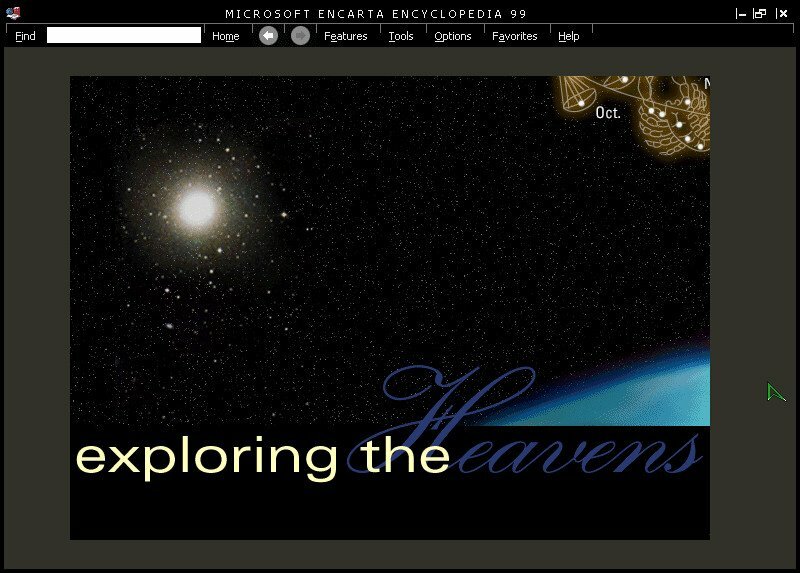 I know this because I still have all 6 of my original 3.5″ hard floppy disks of Windows 3.1, and I have it installed and running in Dosbox. 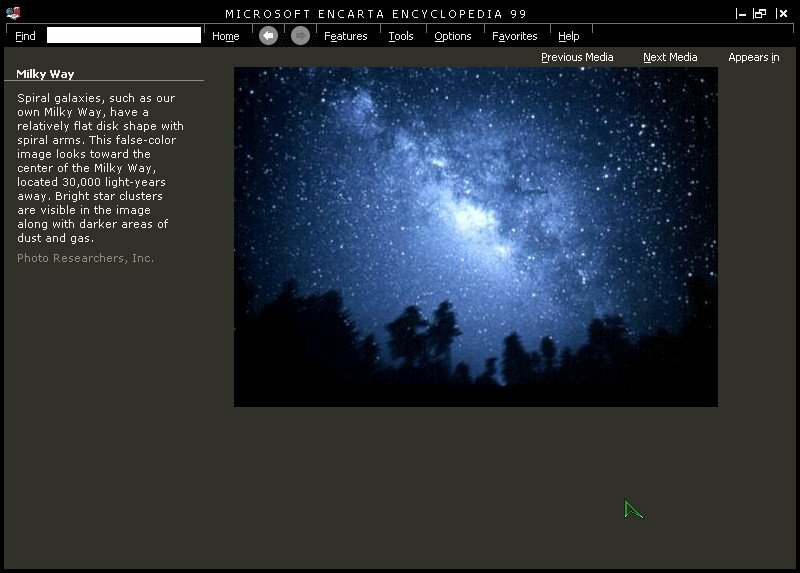 When I tried running Setup.exe in Windows 3.1, I get a Invalid format error, then a dos error, so tried running it in dos, but “this program cannot be run from dos” message.